We provide repair service for every machine like photocopier, printer, fax, scanner, all-in-ones & multifunctions of all brands CANON, XEROX, KONICA MINOLTA, RICOH etc. 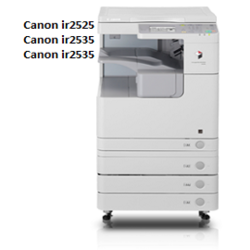 we are engaged in providing our customers with Photocopier Maintenance Service. With this service, we provide our valued customers with a facility to get their machines repaired with maximum reliability. 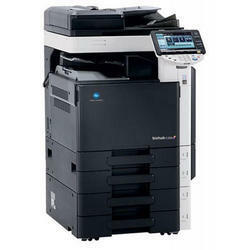 We offer Photocopier Maintenance Service to our customers at an affordable price in the market. Our company holds immense experience in this domain and is involved in offering a wide assortment of Photocopier Maintenance Service. Driven by technically progressive facilities at our ultra-modern infrastructure, we are providing Photocopier Machine Maintenance Service. These delivered services executed by skillful professionals making use of most modern tools and cutting-edge technology in obedience to customers’ need. Assisted by hard work of our accomplished personnel, we render Photocopiers Annual Maintenance Service. This service is completed employing the advanced techniques. Our service is known in the market for their timely completion and reasonable prices. Keeping in mind the diverse requirements of our clients we are involved in providing Xerox Machine Maintenance Service. We operate in West Bengal only. With thorough understanding of this business industry, we are engrossed in providing Photocopier Machine Maintenance Service to our clients. Due to personnel dedication and knowledge helps us to meet the detailed needs of the clients within the given period of time. We have adroit employees, who offer these services in agreement with the defined guidelines. We are rendering Photocopier Machine Maintenance Services to our patrons. Due to prompt completion, our offered service is extremely admired in the market. Our service meets on client’s demand. Moreover, we render this service as per patron’s demand. Matching up with the ever increasing requirements of the customers, we are engaged in providing Photocopier Machine Maintenance Service. Captivating the skills of our professionals, we are involved in rendering Photocopier Machine Maintenance Service. To meet the various requirements of the customers, we are involved in providing Photocopier Machine Maintenance Service. For total satisfaction of our customers, we are involved in providing Projector Installation Service. Service prices Our service range starts from 1500 rs. and it will be vary as per service specification.